Lucy’s experience spans over two decades. She has officiated ceremonies in numerous states including Maryland, Minnesota, Virginia, Washington D.C. and Wisconsin. 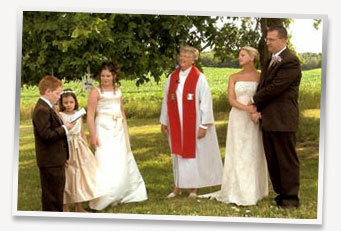 In addition to traditional church weddings, she has officiated ceremonies on the banks of rivers and lakes, in homes and restaurants, in fields and formal gardens and even in a labyrinth. She enjoys spending time with a couple to get to know them better and to help foster better communication on many levels. 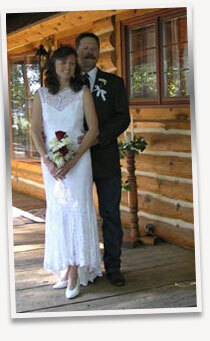 Therefore, two or three sessions with Lucy leading up to the rehearsal and ceremony are vital. If the couple lives in another state, she communicates with the couple via email, telephone, Skype and then in person the day before the ceremony. Lucy celebrates love in all forms. 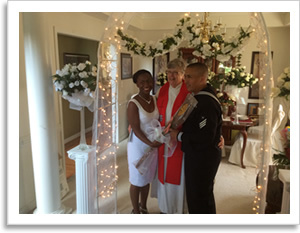 She lovingly officiates marriages for all couples, gay or straight. 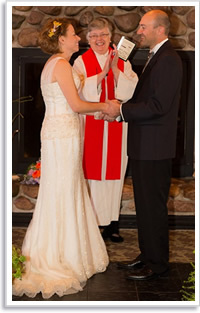 She lovingly officiates ceremonies for all couples wishing to reaffirm their vows. And, she lovingly officiates commitment ceremonies for all couples wishing to have their unions blessed while remaining legally unwed. 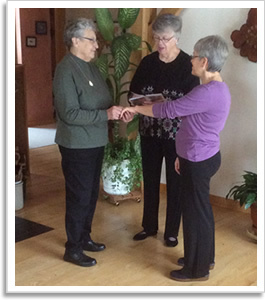 In addition to new unions, Lucy has officiated in the recommitment ceremonies of couples choosing to reaffirm their vows -- even after 25 years of marriage.